HTC today announced its latest flagship smartphone, dubbed the U11+. As its name suggests, the U11+ is more of a subtle upgrade over the current U11. However, when it comes to design, the U11+ is completely different. 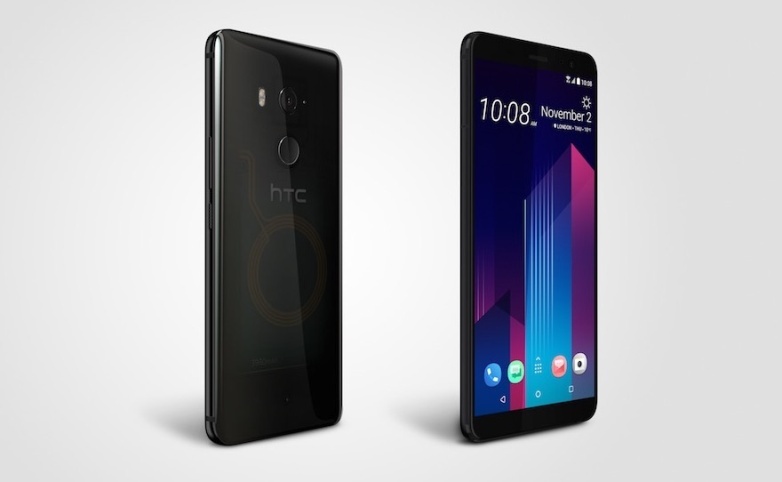 HTC has finally joined the “bezel-less” club with its latest flagship, so the bezels are much slimmer than any previous flagship smartphone from the company. The HTC U11+ sports a 6-inch Super LCD 6 display with 1440 x 2880 Quad HD+ resolution and 18:9 aspect ratio. Like most new flagships released this year, the panel covers the DCI-P3 color gamut and supports HDR playback. The flagship smartphone is powered by a Qualcomm Snapdragon 835 octa-core SoC under the hood, the same chip that powers the U11. It is a similar story in the memory department as well. HTC will be offering the U11+ in two memory configurations: 4GB RAM + 64GB storage and 6GB RAM + 128GB storage. Both versions do include a microSD card slot, so you will be able to expand the storage further by up to 2TB. The primary camera at the rear is a single 12-megapixel UltraPixel 3 unit with large 1.4um pixels, an f/1.7 aperture lens, UltraSpeed autofocus, and optical image stabilization. HTC has strangely decided to “downgrade” the selfie camera to an 8MP unit. 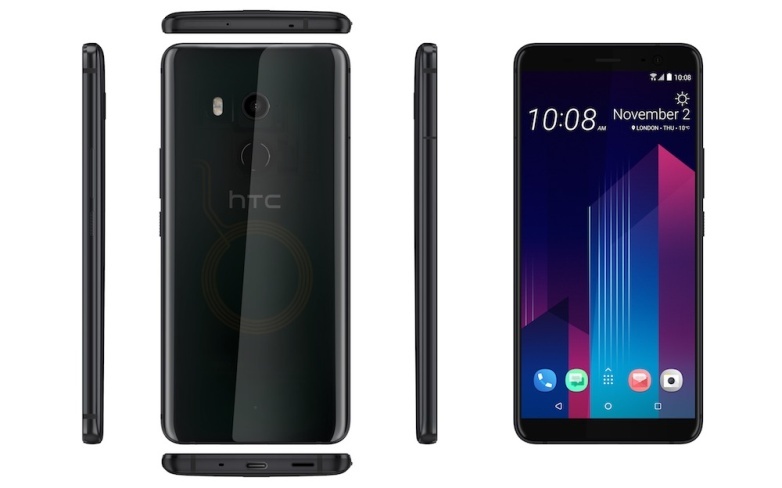 Connectivity wise, HTC’s new flagship supports Wi-Fi 802.11 a/b/g/n/ac dual-band, Bluetooth 5.0, GPS with GLONASS, NFC, and Cat.15 LTE with download speeds of up to 800 Mbps. Since the bezels on the front are very slim, the fingerprint sensor has been moved from the front to the back. The battery has been upgraded to a 3930mAh unit, so battery life should be significantly better than the U11. Other key features include Edge Sense, IP68 certification for dust and water resistance, and USB-C audio. The U11+ runs on the latest Android 8.0 Oreo operating system out of the box, with the HTC Sense UI on top. The HTC U11+ will be going on sale in select markets in Europe and Asia later this year. In Europe, the smartphone will cost €799 at launch. Three color choices will be on offer - Ceramic Black, Amazing Silver, and Translucent. Most people will probably pick the Translucent option, which features a translucent back for a truly stunning and unique look.